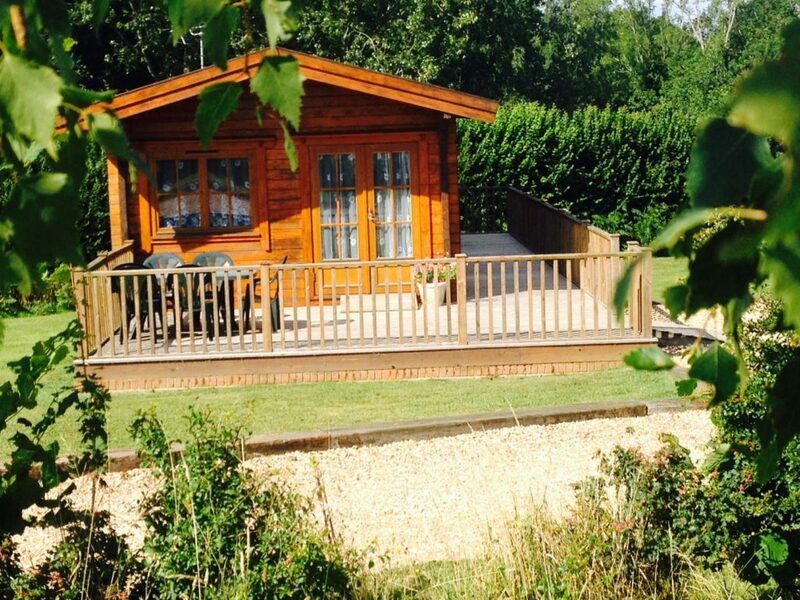 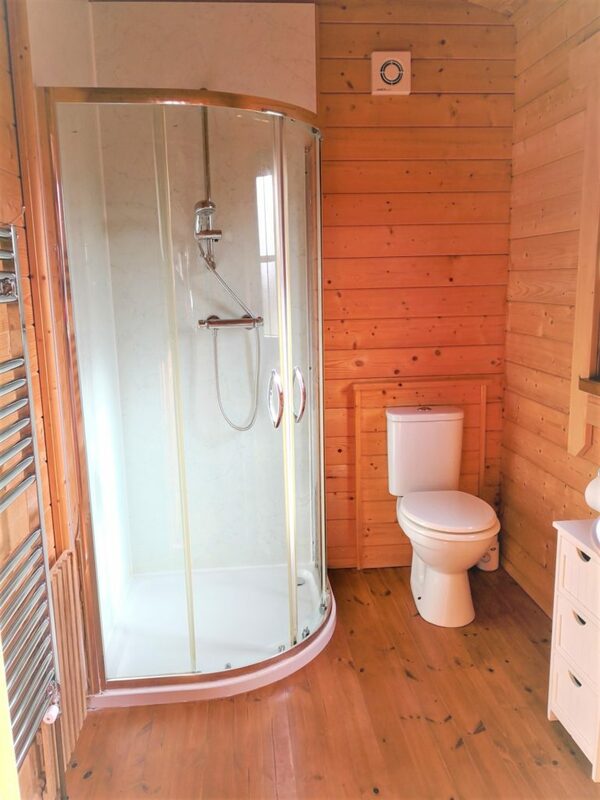 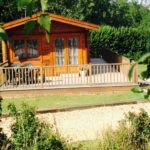 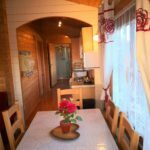 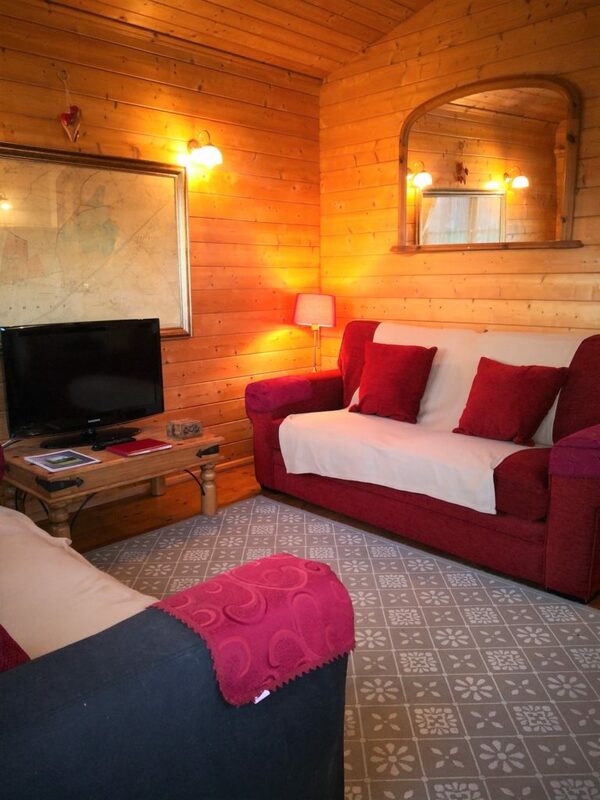 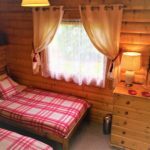 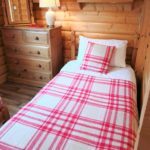 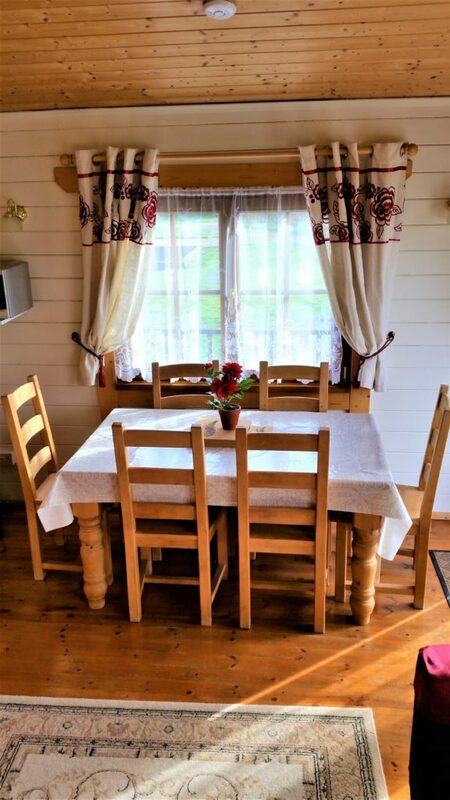 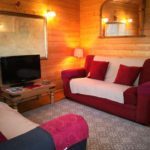 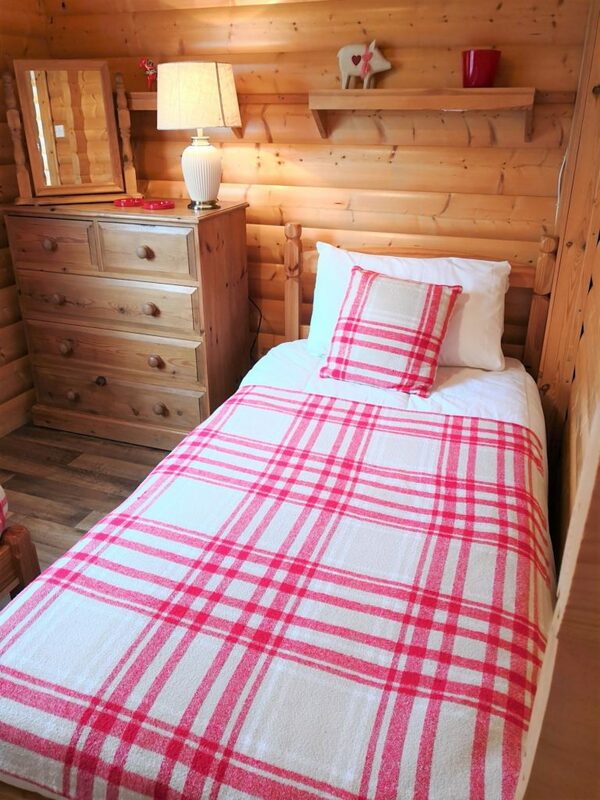 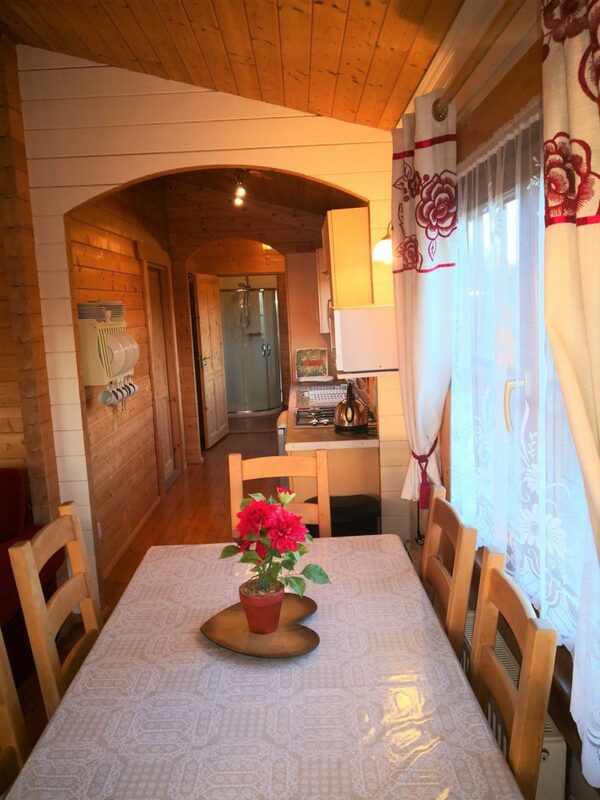 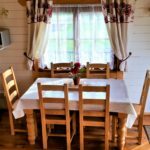 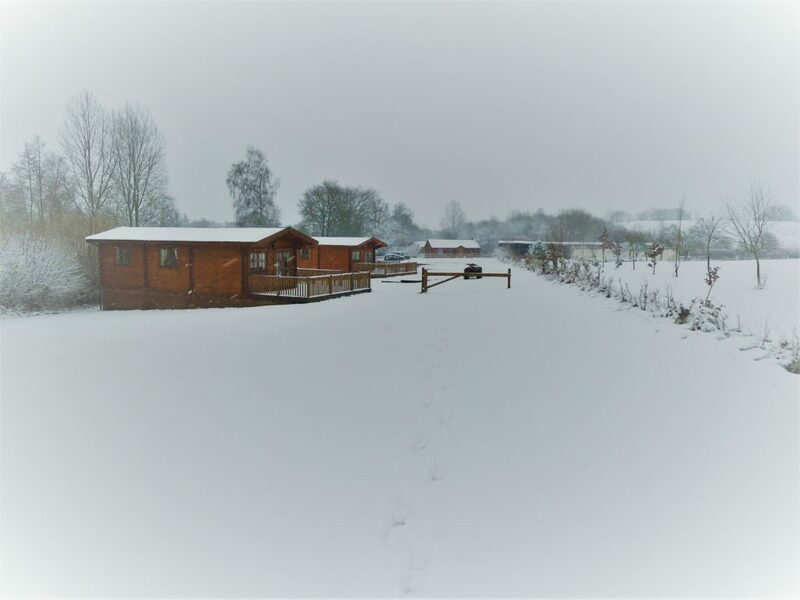 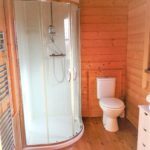 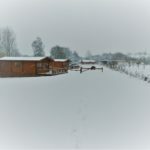 Hazel Lodge is a genuine solid wood Norwegian Log Cabin giving you the log cabin experience but with all the comforts of gas central heating and double glazing . 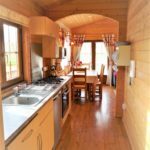 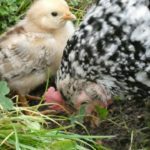 Hazel Lodge offers 2 x twin bedrooms, has a good sized shower room/wc with heated towel rack, galley fitted kitchen, an open plan living dining area with 32″ freeview tv. 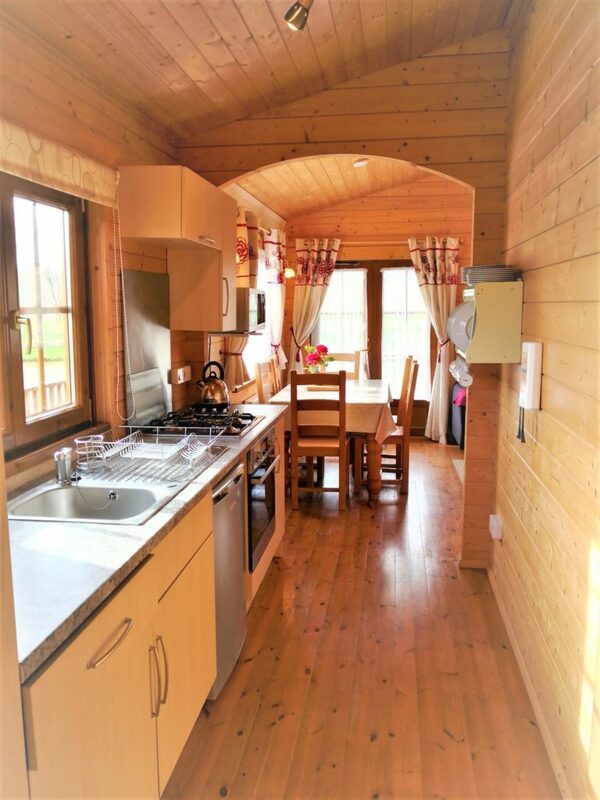 There are double doors opening onto a large south facing balcony with picnic table and an enclosed wrap around veranda with gate and outside lighting. 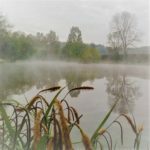 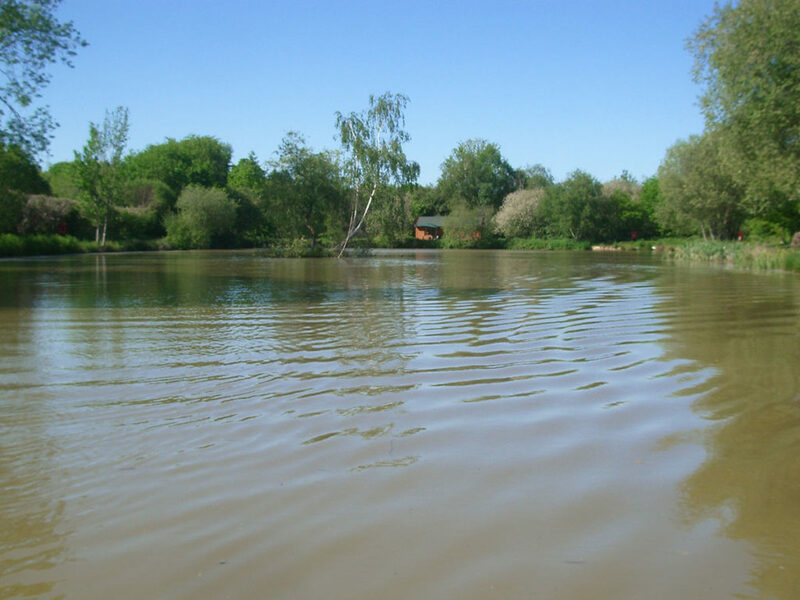 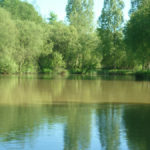 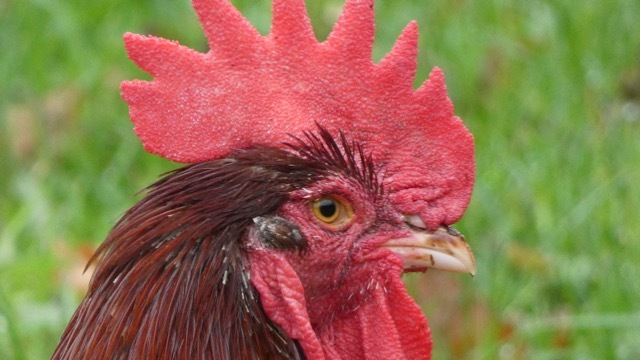 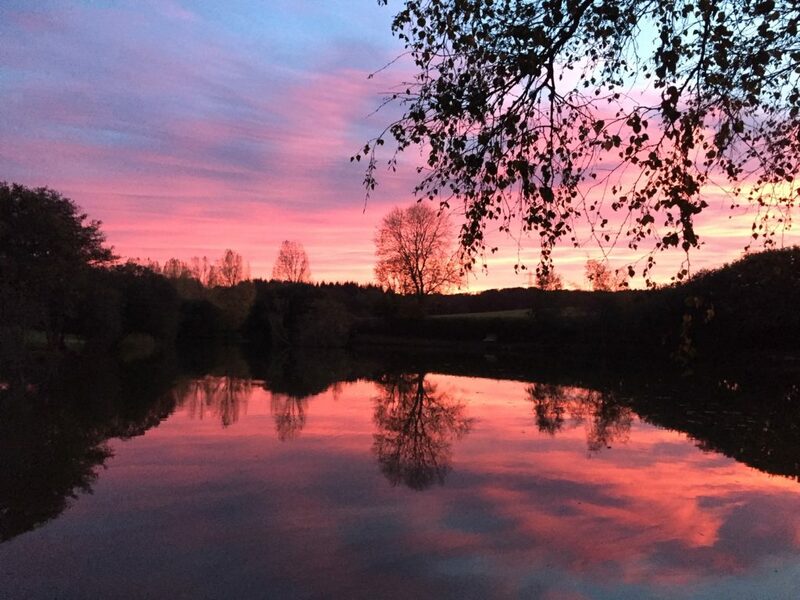 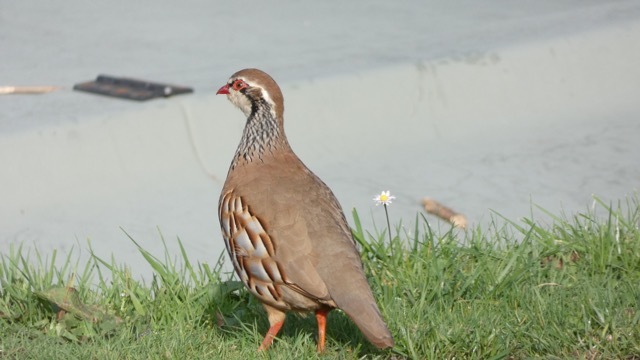 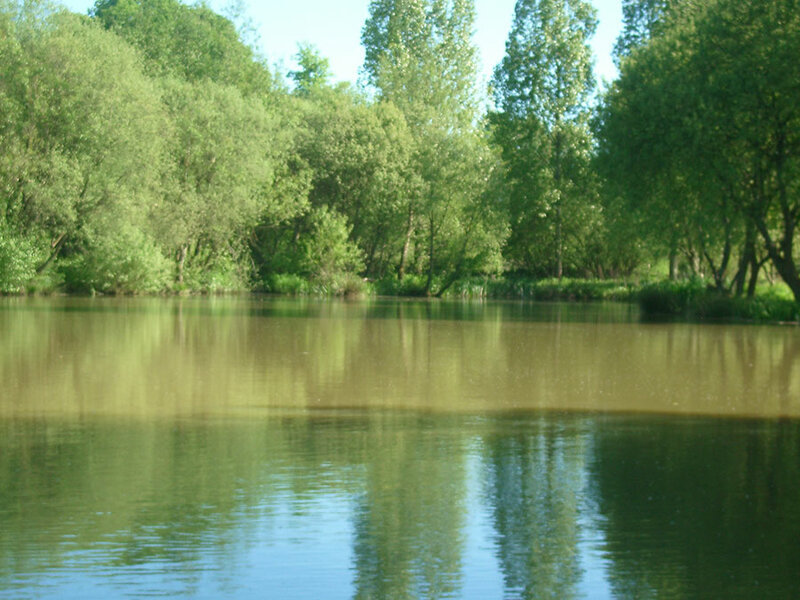 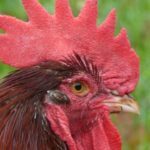 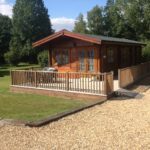 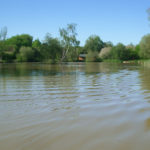 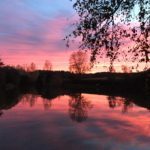 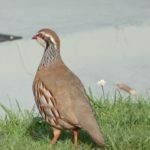 Hazel Lodge is in the middle of 3 cabins with water approximately 25 paces behind the cabin for fishing and there is a large lockable storage area under the cabin, there is also 2 allocated parking spaces next to the cabin. 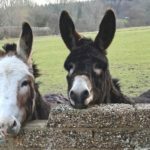 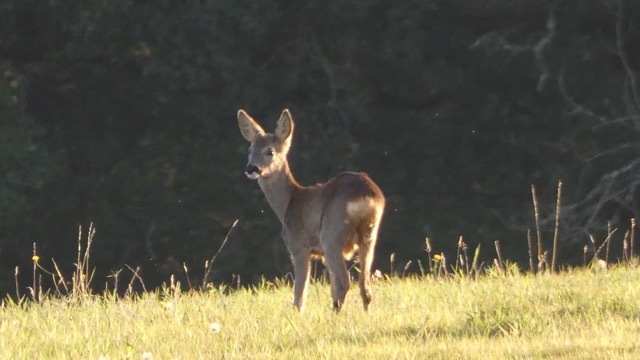 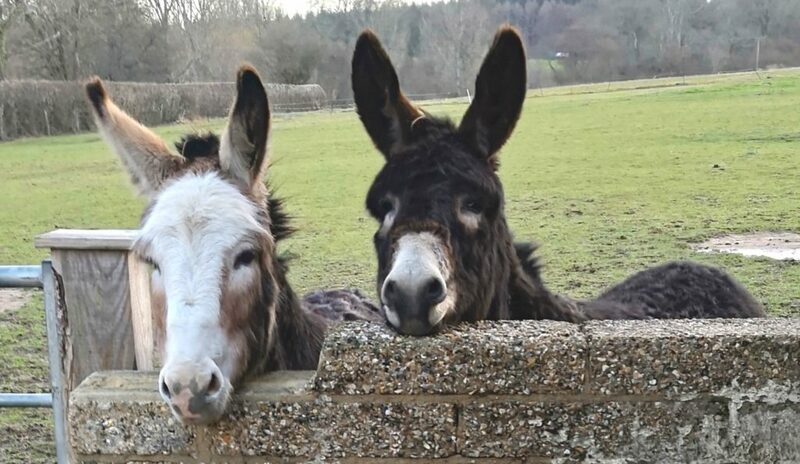 Hazel Lodge is situated in a lovely spot next to open meadows where the deer can be spotted coming to graze each evening. 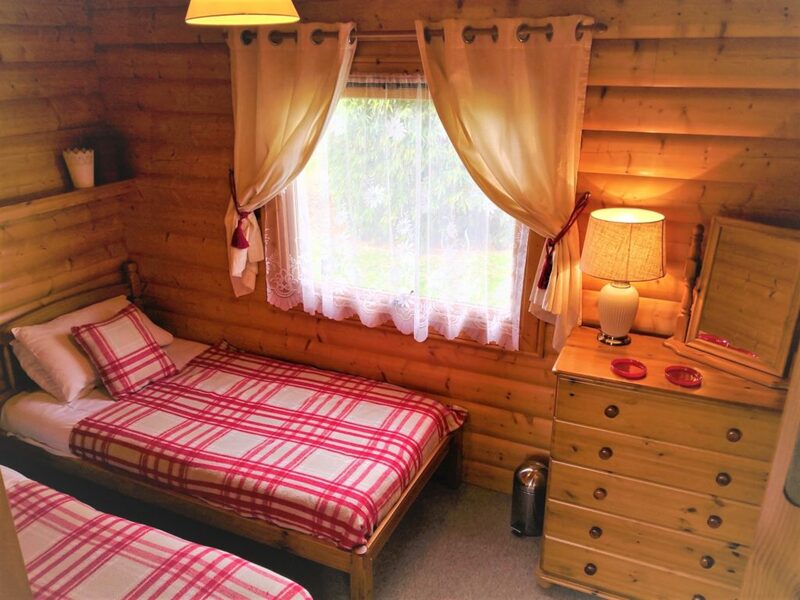 See photos of cabin below.